The conference was attended by the scientists from Kazakhstan, Russia, Ukraine and Kyrgyzstan. They discussed topical issues on how to improve the quality of education in the world and domestic practice, innovative development and management of the education system, understanding the role of the teacher in the educational process, spiritual and moral education of young people, technological support of the design of educational systems and the experience of creating terminological dictionaries. 1. Innovative development and management of the education system. 2. The teacher as an object and subject of the educational process. 3. Spiritual and moral education of youth. 4. Technology design of educational systems. The plenary session was opened by the Chairman of the Board of the Academy of Pedagogical Sciences of Kazakhstan, academician of APS of Kazakhstan Kussainov Askarbek Kabykenovich, who delivered a welcoming speech to the participants of the conference. Doctor of Education, Chief Scientific Secretary of the Academy of Pedagogical Sciences of Kazakhstan Bulatbaeva Aigul Abdimazhitovna delivered the congratulatory speech to the 10th anniversary of the Academy. The work of breakout session «Innovative development and management of the education system» began with a presentation by Zhumabek Khatiollayevich — «Main directions and trends in the development of national education systems based on innovative technologies.» In his report, Zhumabek Khatiollayevich highlighted a range of issues related to the implementation and development of innovative technologies in educational activities, directions and trends in the national education system, the use of computer technology in the system of vocational training, contributing to the formation of professional qualities of a specialist. He also highlighted the problems of training future officers for information activities, purposeful formation of competence in this area, taking into account the information security. After his speech, the Head of the Institute presented as a gift from our University Medal for the 20th anniversary of the Internal Troops of the Ministry of Internal Affairs of the Republic of Kazakhstan. Every participant of the conference was awarded with certificates and collections of materials. 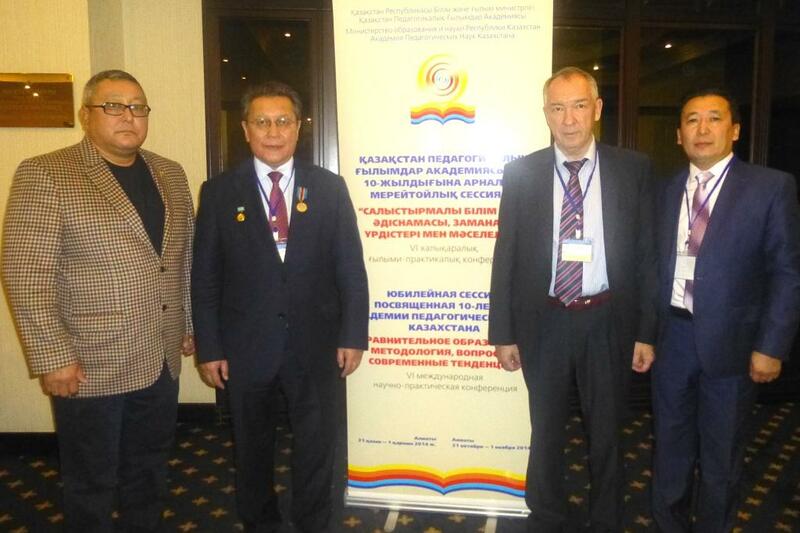 On the November 1, 2014, at the jubilee session, were held the elections of members of the Academy of Pedagogical Sciences of Kazakhstan. 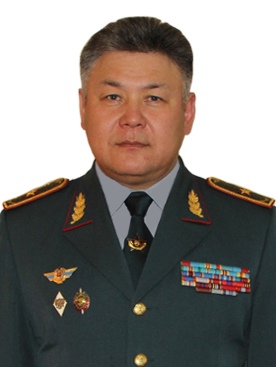 Colonel Batyrov M.E. participated as a candidate for election to the corresponding APS Kazakhstan and spoke on «The organization of the project activities of military high school teachers in the process of training.» The report addressed the issues of the training course in the training, a lack of research culture, which is closely connected with the general culture of a teacher, the corporate culture of the organization of education, is a major obstacle to improving the quality of education. In this regard, the problem of designing skills of teachers under their development was actualized. At the end of the report, the dialogue platform among present therein corresponding members and academicians of the APS of Kazakhstan was organized. After the discussion by the common (secret) ballot, Colonel Batyrov M.Y. 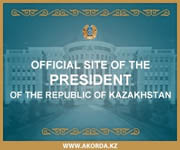 was awarded the title of Corresponding Member of the Academy of Pedagogical Sciences of Kazakhstan.